Sand Sculptures taken on Cable Beach whilst waiting for our sunset Camel ride along the beach. Cable Beach is a 22 kilometres stretch of beach at Broome. It was named after the telegraph cable laid between Broome and Java in 1889. 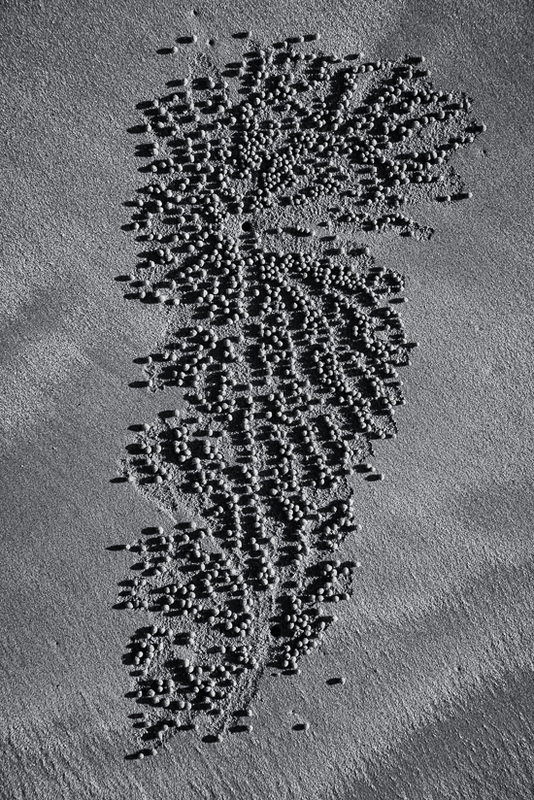 I was immediately attracted to the interesting and intricate patterns the sand crabs created when digging out these little balls of sand and placing them so carefully. 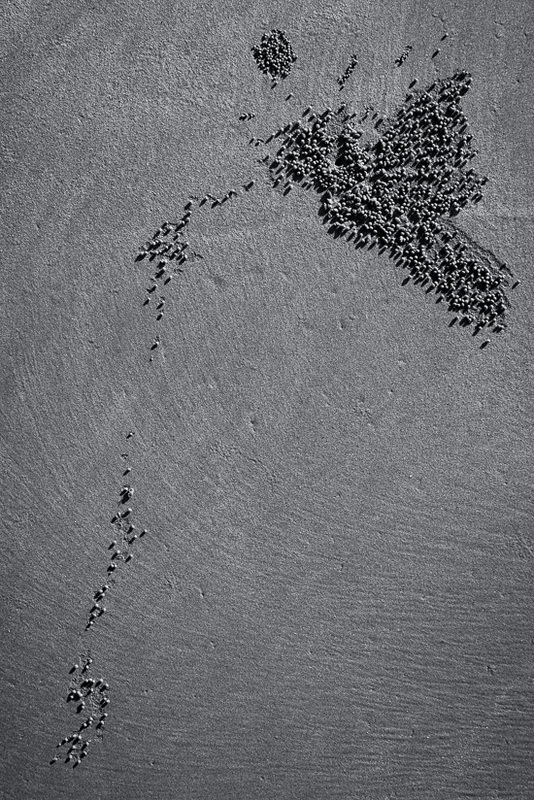 There is structure and beauty in their designs. Channelling my friend Maiva I set about capturing this natural beauty. 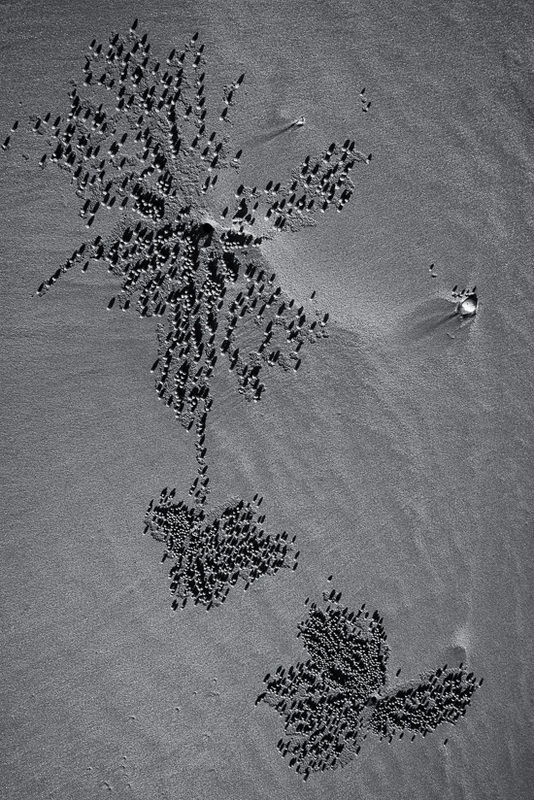 I was looking for interesting shapes and compositions to highlight the work of the crabs in creating these amazing sand sculptures. The images were practically monochrome straight out of camera so it was an easy decision to convert them all to monochrome using the same settings. Lightroom makes this very easy by allowing you to select multiple images to edit concurrently as a set. 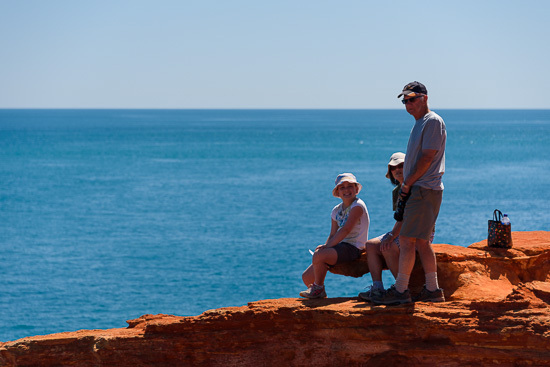 South of the broad expanse of Cable Beach on the Indian Ocean side of the Broome peninsula is Gantheaume Point. 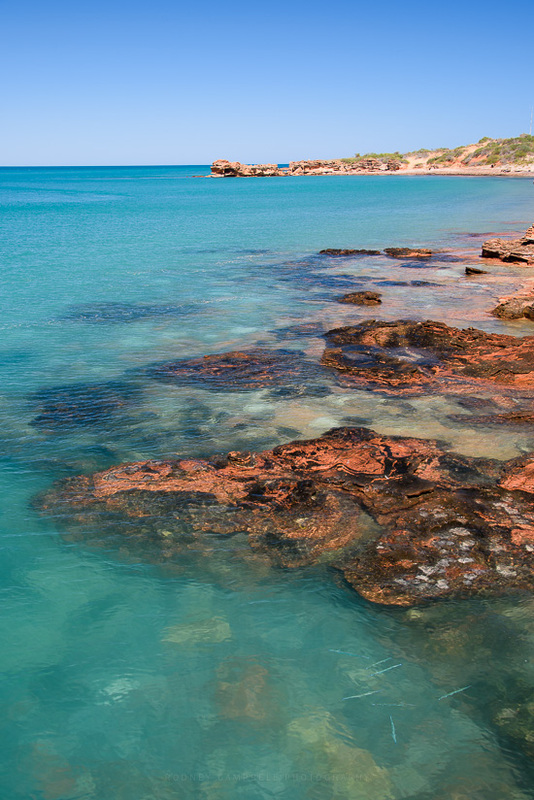 Here deep red rugged rocks are in stark contrast to the impossibly blue Indian Ocean. 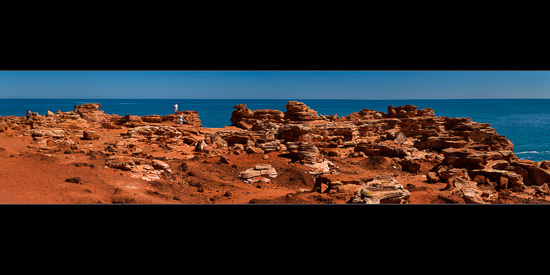 This twelve (12) vertical frame handheld stitched panorama gives a good sense of just how red the rocks and earth is vs the blue water and sky. The spectacular views from the cliff section of Gantheaume Point is reached by a short stretch of unsealed road. There is a well worn track which leads to a cast of dinosaur footprints embedded into the rocks. 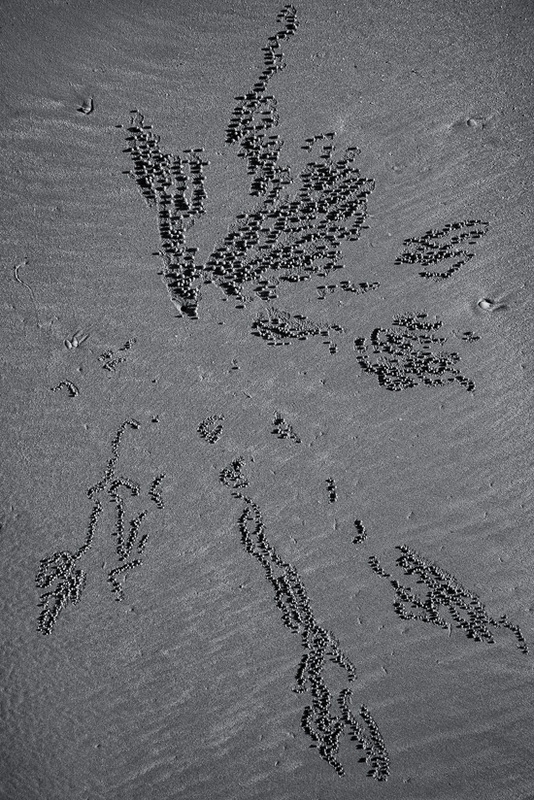 The real dinosaur footprints (over 130 million years old) preserved in reef rock are only visible at very low tide at the bottom of the cliff. 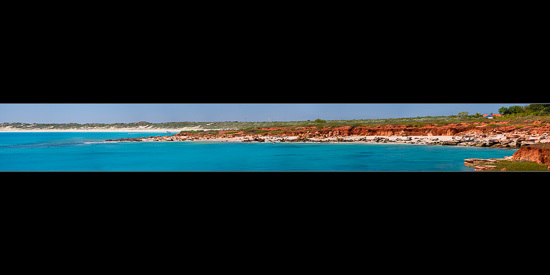 This very wide and thin panorama is the result of stitching twelve (12) horizontal frames taken handheld at 300mm. Using such a long focal length handheld with horizontal frames you needed to be extremely careful with keeping the horizon line as level as possible across the sequence so that the final panorama would work. This view is looking north east from Gantheaume Point up the coast towards famous Cable Beach in the distance. It highlights the amazing deep rich red earth and rocks and white sand sitting atop the beautiful turquoise of the sea. Our first morning in Broome and we headed our to Broome Port and then to Gantheaume Point. 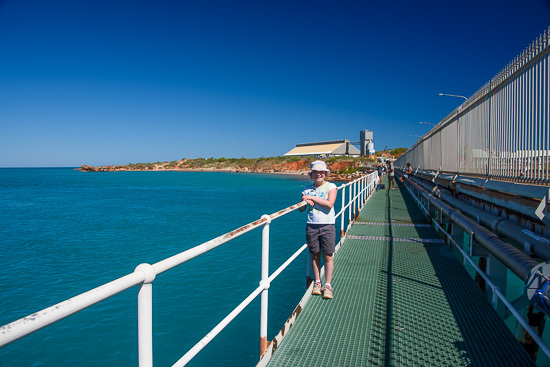 The Port of Broome is the largest deep-water access port servicing the Kimberley region and is open to shipping on a 24 hours basis seven days a week. The port supports livestock export, offshore oil and gas operations, pearling, fishing, charter boats, cruise liners and is the main fuel and container receiver point for the region. The wharf is a steel piled structure with a concrete deck. A 640m long boardwalk heads out from the Port Authority along the side of the wharf. The colour of the water out here on the coast of the Indian Ocean is incredible – a beautiful clear turquoise blue. Besides the fantastic view from the wharf my daughter was pretty intrigued by these long very very pencil thin fishes swimming around in the waters below us. It’s late morning on a harsh cloudless day right next to one of the busiest sea ports in the region and still it is very pretty. 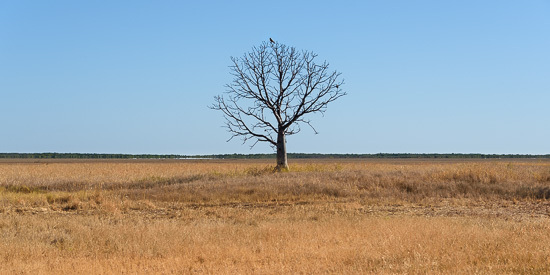 After a couple weeks travelling through the outback and very sparsely populated areas we were finally back in civilisation when we arrived at Broome. We’d be staying in Broome for three nights so we’d also be able to settle in a little rather than travelling each day. Broome is a coastal, pearling and tourist town in the Kimberley region of Western Australia, 2,240km north of Perth. The town has a deep history based around the exploits of the men and women who developed the pearling industry, starting with the harvesting of oysters for mother of pearl in the 1880s to the current major cultured pearl farming enterprises. 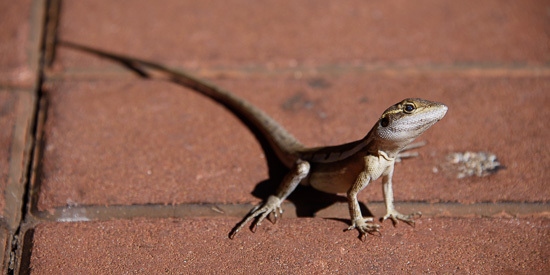 We walked around China Town in the main town of Broome, checking out the local pearl shops. 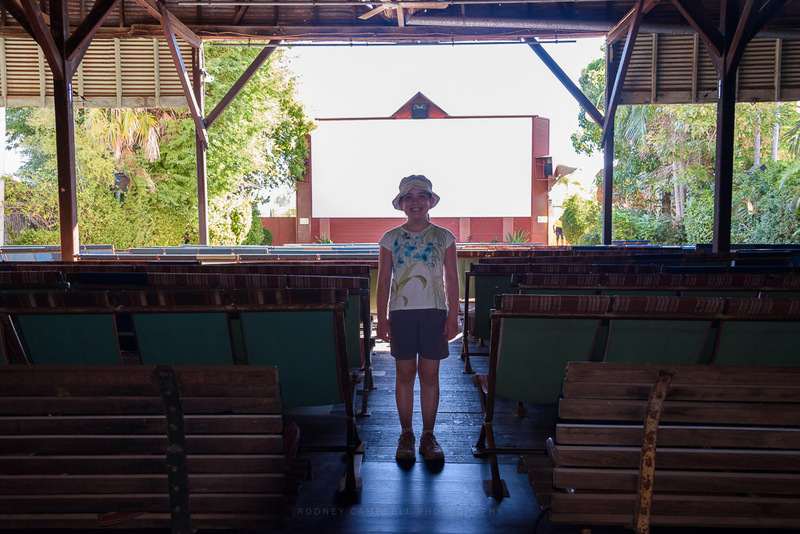 Later in the evening I took my daughter back into town to watch a movie (Mission Impossible : Rogue Nation) at a very interesting theatre we’d seen in the Main Street of town. The Sun Pictures building in Broome’s Chinatown was constructed at the turn of the century on a site owned by the Yamsaki family. Sun Pictures officially opened on December 9th 1916 with a silent movie, English Racing drama ‘Kissing Cup’ with supporting ‘Bachelor Brown’ Comic. 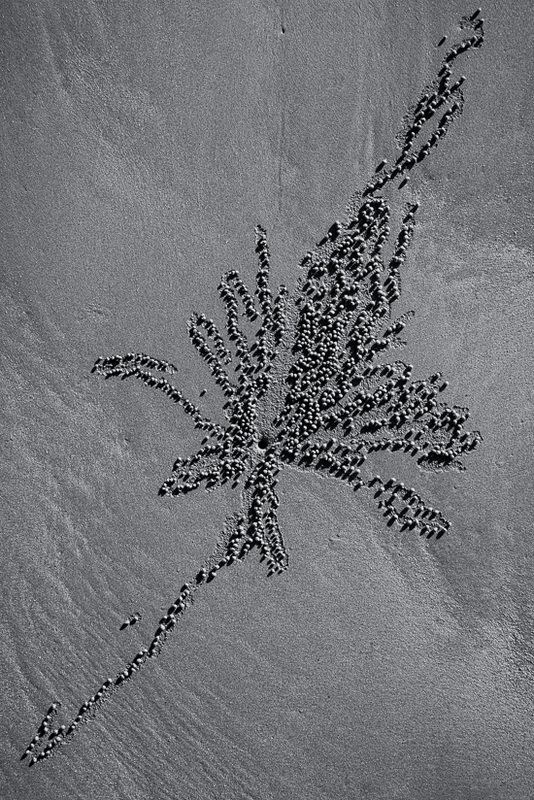 Thus began the silent movie era for Broome. With a traditional horse-drawn tramway running between the Town Beach jetty and Chinatown, people would flock from miles around to enjoy this exciting new social event. Still open today, in 2004 it was awarded the Guinness World Record category of “Oldest open air cinema in operation”. 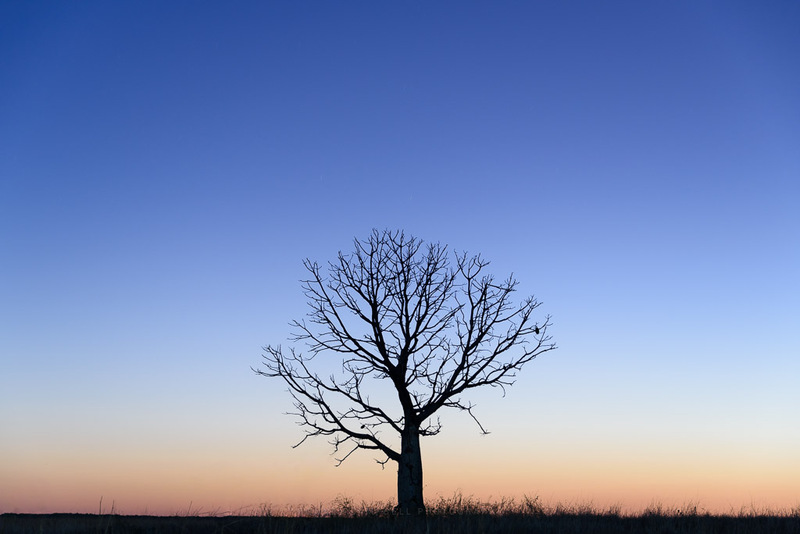 I’d spied this fantastic tree in isolation slightly out on the flats next to Derby earlier in the day on my first recce trip to the dinner tree (when I was just working out where that was so I could return at sunset). I was just driving along the road at the edge of town when I spied this off to the side so I had to stop and take a few shots. I just loved the stark simplicity of the tree and it’s shape – alone and isolated here amongst the grasses in this wide expanse. Besides the good fortune of finding a lone tree out here I was even more fortunate that it had a single bird resting high up at the top of the tree – perfect for a simple almost silhouette shot. After shooting sunset at the dinner tree and whilst there was still a touch of colour left in the sky I also returned to the spot. 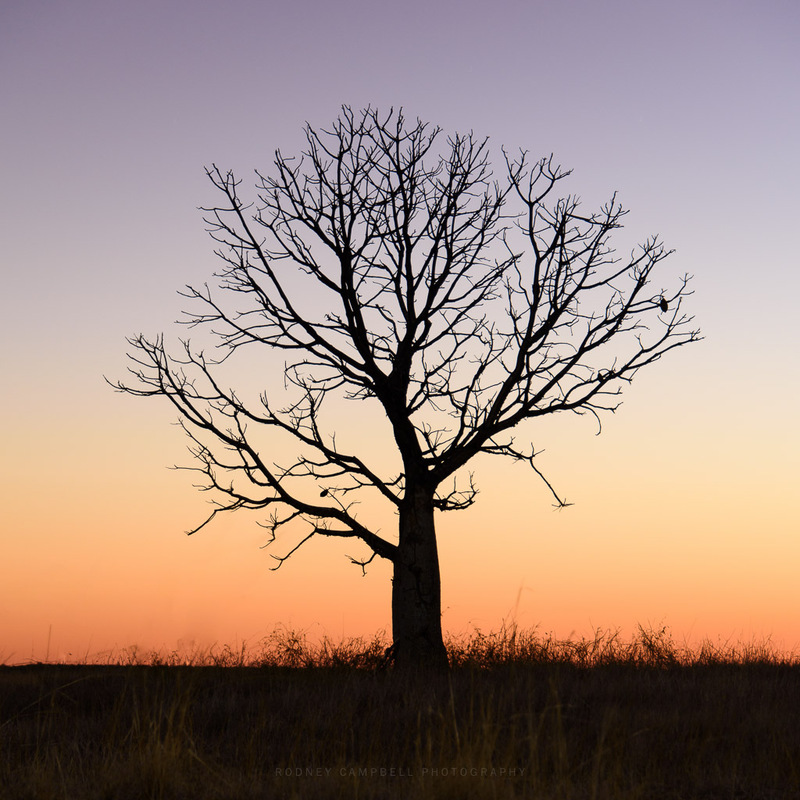 I was hoping to see if I could quickly put together a composition before the light vanished. Getting down very low in the grass with the tripod and using a longer focal length with the trusty travel lens (28-300) I setup a few silhouettes in the fading light. Satisfied we returned back to our accommodation for the night. Derby really does live up to it’s name as the place of boabs.